Sevilla has a dreadful recent record against its Andalucia neighbour, Granada, but one expects the White and Reds to record a resounding Spanish Primera Division victory over their local rivals when they host them on Friday. Each of the last three Spanish Primera Division meetings of Sevilla and Granada have ended in favour of the Nasrids but it would take a brave – no, make that reckless – punter to bet on anything other than a loss for them this weekend. Awful is perhaps not even a sufficiently strong word to describe Granada’s performance in losing 0-3 at home to a severely weakened Celta team on its last Spanish Primera Division start. Celta fielded a reserve side so that its star players could put up their feet before their team’s UEFA Europa League quarter-final second leg versus Genk in Belgium. The match presented Granada with an opportunity to close the gap on its Spanish Primera Division relegation rivals but the Nasrids wasted it as the coaching reign of accidental manager Tony Adams began in inglorious fashion. Adams is a champion player whose managerial record is as far removed from his one at the heart of Arsenal’s defence as it is possible to imagine. Adams failed in charge of Wycombe, Portsmouth and Qabala before ending up at Granada, which is heading for the Spanish Primera Division exit as its bunch of loan players fail to meet the standards of the other 19 sides in the competition. Remarkably, just 12 of Granada’s first teamers belong to the Nasrids, while only 44 of their 106 players across its top three sides are contracted. According to one’s Spanish Primera Division collateral form analysis, Sevilla holds a 16-1-2 advantage over Granada and the only real knock on the White and Reds in comparison to the Nasrids is the former’s results in local derbies. That may have been sufficient to put one off Sevilla had one not read the horror stories pertaining to Granada’s first game under Adams, who is on the record as saying that he does not want to be the Nasrids boss when next season kicks off. Coral is doing what Coral does and going out of its way to lay a hot half-time/full-time double-result favourite so oblige the bookmaker that Joe built at its 67/100 1.67 -149 0.67 -1.49 0.67 price. Villarreal was plain in its 1-2 Spanish Primera Division defeat at Alaves on Monday but the Yellow Submarine, which have their sights set on UEFA Europa League qualification, is worth backing at odds of 67/100 1.67 -149 0.67 -1.49 0.67 with several bookmakers, including 188Bet, BoyleSports and SkyBet, to beat Leganes. Saturday’s Spanish Primera Division game pits Villarreal against a Leganes team over which, according to one’s collateral form analysis, it enjoys a 12-1-6 edge. The reverse fixture in December resulted in a 0-0 draw that, based on the key match statistics, Villarreal bossed. Real Madrid versus Barcelona is the undoubted highlight of the Spanish Primera Division round but, while one thinks that the Meringues may defeat Neymar-less Barca at the Santiago Bernabeu, one cannot step into the hosts because one’s collateral form analysis favours their guests. 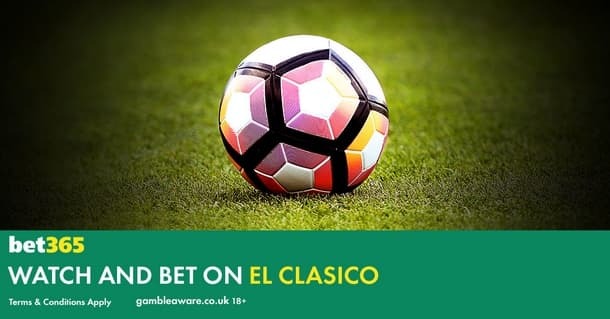 Both sides have scored in 20 of the last 21 El Clasicos but bookmakers have got that angle covered off. However, with Neymar on the sideline, one likes under three and a half goals at odds of 4/5 1.80 -125 0.80 -1.25 0.80 with Bet365. Nineteen of Real Madrid’s 31 Spanish Primera Division games have gone under three and a half goals, including 12 of its 16 home matches. Seventeen of Barcelona’s 32 Spanish Primera Division games have gone under three and a half goals, including nine of its 16 away matches. Three of the last four El Clasicos have gone under three and a half goals.